Weight reduction surgery helps to put you on your path to a healthier lifestyle, but you can still tip into the realm of unhealthy if you don’t follow your doctor’s or nutritionist’s orders. Watching what you put into your body is very important because your blood pressure and cholesterol can dip toward unhealthy. Especially after weight reduction surgery, you should still be watching what you eat. By stepping up and undergoing bariatric surgery, you were ready to change your life around. Don’t take a step backward by letting yourself go again. Understand your body and how eating fatty foods and practicing unhealthy habits can contribute to poor overall health, such as high blood pressure and cholesterol. Why do you need to think about high blood pressure or cholesterol if you’ve gone through bariatric surgery? No matter what stage of health you are in, you should consider the negative effect of what practicing unhealthy habits can have on your body. What does it mean when you have high blood pressure? It means that your heart is working at an above normal level, and due to working harder it leaves your heart and arteries open to injury. What does your blood pressure do? By keeping your blood pressure normal, you are able to reduce your chances of heart attack and stroke or developing heart and kidney failure. Having normal blood pressure will also provide your body with blood tissue rich in oxygen. There are two different types of cholesterol. The first kind, the so called “bad” kind, is called LDL and is the kind that leads to heart disease, stroke, and heart attacks. The second kind is HDL, and that’s the so called “good” cholesterol. HDL lowers your chances of heart disease, stroke, and heart attack. So, how are these differentiated? Making healthy decisions toward eating and drinking is what differentiates good from bad cholesterol. For instance, if you have a diet filled with red meat, sugars, and white flour, you’re likely to have higher cholesterol. If you have a diet filled with leafy greens, salmon, and you moderate your drinking, you’re likely to have a healthy cholesterol. If you have high blood pressure or cholesterol, see a doctor to see how to fix it. If you are interested in bariatric surgery and want to learn more about controlling your weight, contact Weight Zen. It’s easy to gain weight. There are so many delicious foods that contribute to weight gain, such as sweets, sugary drinks, and complex carbohydrates. When you only have so much time in a day, it can be difficult to fit in exercise. Losing weight can be very difficult when you don’t have the time to eat correctly or exercise. Weight Zen is a comprehensive weight loss facility located in New York that offers bariatric surgery and nutritional counseling to help you control your weight. There are many surgeries that will help you get back on track to being healthy again. With our help, you can start taking better care of yourself. You may wish to look into our weight loss surgeries to help you control your weight. Below are a few health issues complicated by being overweight. Your circulatory system is how your blood and lymph travel through your body. This system includes the heart, lymph, blood, blood vessels, and lymphatic vessels and glands. If you don’t lose weight, you can suffer from blood clots, poor circulation, high cholesterol, high blood pressure, and heart attack. When you gain weight, you put more pressure on your legs and knees as well, so there is swelling in those limbs. You are also more prone to lymph node cancers and peripheral artery disease. Peripheral artery disease is a condition that causes blood vessel reduction to move through the limbs. This means that poor circulation may cause pain in your limbs, specifically your legs. By not taking care of yourself, you may be facing poor circulation and pain in your limbs as well as possible heart problems. The respiratory system consists of the organs that help your breath. The organs that are involved in the respiratory system are responsible for taking in the oxygen and breathing out carbon dioxide. When you are overweight, your respiratory system won’t work as well. You could develop asthma, sleep apnea, pulmonary hypertension, and pulmonary embolism. Sleep apnea is when your breathing stops and starts while you sleep. It’s very dangerous because you stop breathing. Pulmonary hypertension is when you have high blood pressure that affects the arteries in the lungs and the heart. Lastly, pulmonary embolism is when your lungs become blocked due to a blood clot. When you are overweight or obese, your respiratory system doesn’t work as well, and you may face breathing problems. This one might be surprising; what does weight control have to do with psychological issues? If you are overweight or obese, you may be facing many psychological issues, such as depression, anxiety, and eating disorders. Our culture plays a part in triggering low self-esteem and depression for people who are overweight or obese. When you live in a culture that tells you what beautiful is, it’s very hard to ignore it. Unfortunately, there’s a very low emphasis on being healthy in our society. Many people have eating disorders because they want to be beautiful and skinny, so they don’t think of the health repercussions. If you are at an unhealthy weight and think you are depressed or you suffer from anxiety, reach out to someone who can help. Developing eating habits that could be considered a disorder will not fix the problem. Get healthy the right way, by exercising and dieting or by talking to a doctor about weight loss surgery. This also might be a surprising health problem you might not think about. For women, being overweight can lead to polycystic ovarian syndrome, infertility, and irregular menstruation. It can also lead to ovarian, endometrial, cervical, and breast cancer. For men, being overweight can lead to prostate cancer, infertility, and erectile dysfunction. You may have read our article on PCOS earlier. To refresh: Polycystic ovarian cancer or PCOS can cause the hormones to become out of balance and for the body to produce more testosterone than it should. If you are overweight and are trying to conceive, it can be hard to do so if you have PCOS. If you’re overweight and any of these conditions sound familiar, talk to a doctor or nutritionist about weight loss and weight reduction surgery. Call us today to begin changing your life. If you’ve been reading our blog for a while, then you likely know that we spend a lot of time and dedication to helping patients before and after bariatric surgery in our New York office. We put a focus on helping you know your body and its needs. While this can be difficult to do at the beginning, with organization and discipline, it becomes easier. With that in mind, we want to take a look at food diaries today, which can be a great tool after your bariatric surgery. Simply put, a food journaling is a way to keep track of what you eat. Food journals are recommended by many nutritionists for people who are struggling to lose weight. This helps you assess the amount of food you consume as well as when you’re consuming it and perhaps how you feel when eating. It’s a great way to count calories and take note of habits in your diet and lifestyle. 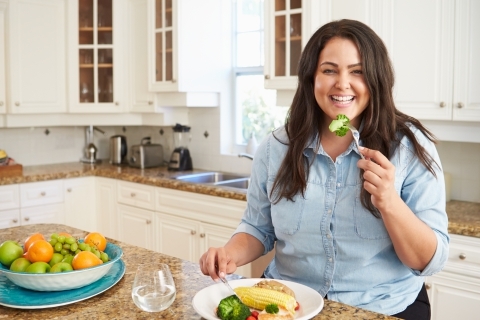 As you begin to adjust to life after your weight loss surgery, it’s highly likely that you’ll take notice of many changes to your lifestyle and diet. Keeping a food journal is a great way to keep tabs on those pesky cravings, what you’ve eaten during the day, how often you’re eating and how you feel throughout the day. How did you feel while you were eating? 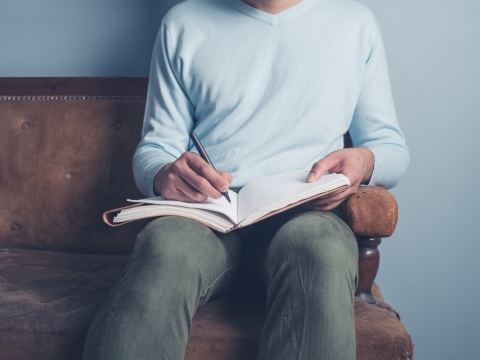 While this may appear trivial on the surface, having a food journal that keeps track of the above information on a daily basis is very beneficial in the long run. People often notice in their food journals that they’re eating too much of one food group and neglecting others. As you accumulate to food logs, you’ll be able to see trends and take note of any nutritional needs you should be meeting but aren’t. By working with our nutritionist Megan Wolf, you’ll be able to alter your diet as needed and tailor a plan that fits your exact needs. We understand that your life can be different for a little while after your bariatric surgery. Being able to monitor your health on a daily basis is not only important to you, but to your doctor and nutritionist, too. If you notice issues with constipation, diarrhea, heartburn, abdominal pain, or indigestion, make sure you take note of it. Patterns of these types of issues may indicate certain foods that do not agree with you, or it could be a sign of a something that needs to be addressed further. If you’re interested in bariatric surgery in New York and want to make sure that you get great, long lasting results, make sure you contact Dr. Rosen at Weight Zen to schedule a consultation and discuss your options. Our entire team looks forward to connecting with you and helping you meet your weight loss and health goals. Once you have weight reduction surgery, you need to consume a certain amount of nutrients to stay on the path of being healthy. One of the nutrients that need to be consumed daily is protein. Now that you’ve gone through bariatric surgery, it’s important to focus on a new dietary plan. It can be hard to adjust, but your nutritionist and bariatric surgeon probably told you why there are dietary restrictions and what foods need to be consumed. To help you stay on track, there are many foods that you can try, but there are also protein powder shakes to give you the nutrients you need in smaller portions. Portion control can be hard to maintain, but by exploring the wonderful world of bariatric protein powder you can hit your nutrient goals everyday, stay full, and continue on your path of being healthy and losing weight. 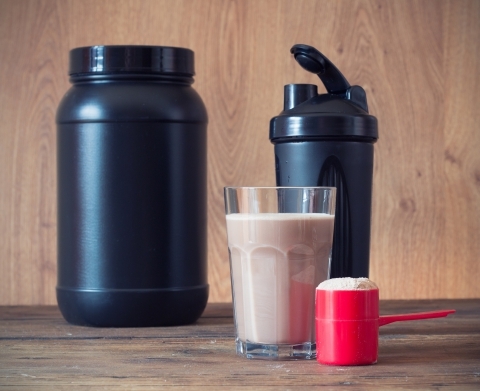 What is Bariatric Protein Powder? Not all protein powders are good for bariatric patients, which is why there are specific protein powders people who have gone through bariatric surgery prefer to consume. Some protein powders have too much sugar – something that should be avoided. It’s important to always read nutrition labels to be sure you know how much you’re drinking. Bariatric protein powder is geared toward post-op patients who need to meet their nutrient requirements. Ideally, look for protein powders that have at minimum 20 grams of good quality protein and fewer than 10 grams of sugar. Remember to keep it simple; it’s okay to add some fruits, and other ingredients, but be aware of your intake, and don’t overdo it. Why Use Bariatric Protein Powder? Because your stomach size is reduced, you are only able to consume a certain amount of food. You want to maximize your intake with the best quality ingredients and wholesome foods. Protein shakes are easy and filling: all you have to do is make the shake. Make one in the morning, and then take it to work with you, or drink it after a long day when you aren’t up for cooking dinner. However you look at it, bariatric protein powders are geared for post-op patients and work well to help you meet your protein requirements. There are many protein powders out there, so you’ll be able to find you what you like. We offer a few of our favorites in the office, and our nutritionist Megan Wolf can walk you through the benefits of each. Do you live in the New York area and are interested in weight loss or bariatric surgery? At Weight Zen, we offer a few weight reduction surgeries to help you get your life back. To make an appointment or to learn more, call [uxi_button link=”2122032146″ new_window=”0″ tel=”1″ class=”button-block-mobile button-32″ padding_x=”” padding_y=”” text=”(212) 203-2146″ text_size=”14″ text_size_mobile=”” text_font=”header-font” sub_text=”” sub_text_size=”12″ sub_text_size_mobile=”” sub_text_font=”header-font” icon=”” icon_size=”12″ icon_size_mobile=”” icon_align=””]. Now, that you’ve gone through bariatric surgery or if you are gearing up for bariatric surgery and need to lose some weight, you probably aren’t sure what to eat. At Weight Zen, we love food – so today, we’d like to share some healthy foods that are both delicious and nutritious. These foods are just an introduction to all of the other yummy and healthy foods that you can try now that you are exploring healthy foods. It might be hard to get into the habit of staying away from oily, fatty foods, but in no time you’ll realize how much better, healthier, and tastier eating healthy is. Coconut is big right now; there’s coconut water, oil, and flour. Coconut flour is a great substitute for white flour and is a healthy way to add nutrients and flavor to baked goods. There are many health benefits of eating coconut too. 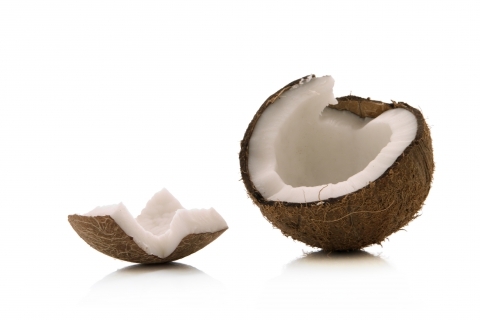 Coconut flour boasts five grams of fiber per every two tablespoons with an additional limited amount of saturated fat. Coconut flour is naturally gluten-free and may help stabilize blood sugar. Rich in heart-healthy fats and lean protein, salmon is a perfect choice. Raw or cooked, it cannot be beat. 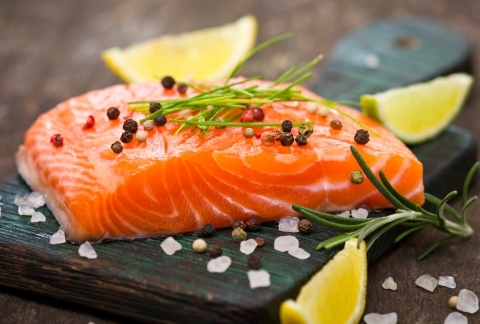 Especially good for postoperative patients, salmon is soft and filled with protein. If possible, look for wild varieties in your local market. Fresh or frozen, you really cannot go wrong! What is skyr? It’s yogurt that’s similar to Greek yogurt. Greek yogurt is delicious and can be used in baked goods and smoothies, as sour cream, and even as a dessert with some fruit and honey. Skyr and Greek yogurt have a pretty similar texture and similar nutrients. Look for skyr at your local world market, and try it out to see how you like it. If you’re a sushi lover, then you’ve likely tried seaweed before. Especially popular in seaweed salads and as a wrapping on sushi rolls, seaweed is common in Japanese cooking. Seaweed has potassium, iodine, and iron. It is salty but not overpowering and it can be enjoyed in many different ways. Seaweed salad, seaweed in smoothies, seaweed instead of potato chips, or in soups are all must-tries. Check out the flakes or dried strips and sheets in your local supermarket. What is amaranth? It’s quinoa’s lesser known cousin. It is a newly popular whole grain; iron, zinc, protein, calcium, and magnesium are all featured in this lesser-known grain. Native to Central America, it has been used for up to 8,000 years. Amaranth, when cooked, is thick and oatmeal like, so it works as a great thickener. Try amaranth in soups, oatmeal, stews, and even pudding to add some healthiness to your desserts. Similar to quinoa, is can be found in natural-foods stores or a very well-stocked supermarket. You can also find a delicious amaranth recipe in our nutritionist Megan Wolf’s new cookbook Great Meals with Greens and Grains! Are you interested help controlling your weight or in weight loss surgery? Learn more about Weight Zen and how you can start living a healthier life by contacting us today! In our last blog, we began to cover some of our favorite tips we love giving patients who struggle with staying motivated with their weight loss efforts after undergoing bariatric surgery at Weight Zen in New York. Today, we’re back with a few more helpful tips to help you kick those bad habits once and for all. Plan all of your meals around a solid source of lean protein, such as salmon, tuna or chicken. Then, pair your protein with low-starch veggies such as asparagus or green beans. Don’t hesitate to utilize seasonings, such as dry rubs and spices, to keep your meals exciting and to add some variety. Kick your food triggers out of the house for good. If it’s hard for you, ask your family members or a close friend to help you by keeping tempting foods in another cabinet or even putting them in another fridge out in the garage. Call a family or friend meeting where you have an honest conversation with everyone about which foods you need to stay away from and which ones are okay for you. When you cut back on refined starchy foods and sweets, it will be hard at first, but stay the course and drink plenty of water. You’ll notice positive results and begin feeling better day by day. You’ll be so happy you stuck it out! If you’re struggling to stay the course with your weight loss efforts, contact Weight Zen today, and let us help you kick those bad habits with our support groups and multidisciplinary approaches. It’s easy for old habits to creep back in. Whether you’ve already undergone bariatric surgery in New York at Weight Zen, or you’re simply considering it, it’s important to understand this concept. Life after weight loss surgery still required hard work and determination to lead a healthy life. You’ll need to stay motivated in order to keep up with healthy habits. Today, we’re going to give you some tips to finding a balance within your family, work, and health so that bad habits don’t creep back in and ruin all your hard work. Want to let go of those bad habits? Not sure how? Follow these tips to move forward with healthy habits! What is the catalyst that keeps you moving forward? What drives you? If you have a beautiful vacation coming up, you’re more likely to stick to your guns for those upcoming beach days, right? Perhaps the motivation that brought you success for things like vacations and jobs in the past is what can still drive you forward now. However, it may be possible that the catalyst has changed or doesn’t motivate you in the same way. That means it’s time to find a new motivator to spur you into action! Ask your post-bariatric friends on Facebook how they stay focused, speak to Dr. Rosen or Nutritionist Megan Wolf, or join one of our support groups here at Weight Zen. Set a realistic plan for yourself. Most people don’t follow through with their New Year’s Resolution plans because they aren’t realistic. It works the same way with weight loss goals after bariatric surgery! Your realistic weight loss plan should absolutely include meal planning so that you can plan ahead for busy days and stressful events. This will ensure that you’re eating the best foods for your body and that you’ll be able to keep your blinders up when temptations arise. We’ve all forgotten to pack a lunch for work and felt ravenous throughout the afternoon. Stay one step ahead of the game and your hunger by meal planning and setting realistic goals. Nutritionist Megan Wolf can help you set a great meal plan. Focus on your four key areas. While water is certainly easier to drink for some more than others, we encourage our patients to take small dips all day long. Water is cheapest but so valuable. Drink water more often, and you’ll find that you aren’t as hungry as you may have thought you were. Additionally, it’s important to remember that we can confuse the feelings hunger and thirst. Because of this, Nutritionist Megan Wolf always suggests that our patients drink water if they aren’t sure if they are hungry or not. We want you to drink when thirsty, and eat when hungry – not eat when thirsty. The second area we suggest focusing on is establishing a routine meal structure. While we know life happens and it’s not always possible to hold to your routine, you should still make every attempt to do so. Have you become relaxed about breakfast? Put your car keys in the fridge next to your cheese stick so you don’t forget to eat it. Make sure you’re consuming breakfast within the first 90 minutes of waking each day to keep your metabolism going and help control blood sugar and hunger. Never underestimate how beneficial it is for you to make the best possible food choices. We recommend protein at every meal and snack. While we hate the word fail – and would never use it when describing our patients – the old saying, “failure to plan is planning to fail” is very true in regards to any type of weight loss plan. If you want to see serious results, you have to make changes. Set days to make your meal plans, cook, and stick to them. 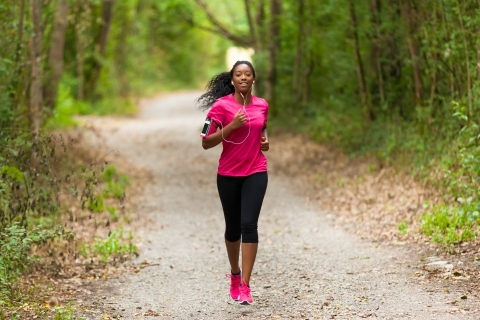 Once you’re able to exercise after your bariatric surgery, start doing so. We see all patients 10 days after surgery and Dr. Rosen will clear you for exercise when you are ready. Exercise schedules are also extremely important when it comes to weight loss plans because it’s not going to happen by accident. If you want to get back on track with your weight loss, set an exercise schedule, and stick to it. Having a hard time finding motivation? Hire a personal trainer – an incredibly worthwhile investment. If you’re struggling with bad habits after your bariatric surgery, we encourage you to contact us. We have a commitment to helping you with your weight loss needs, and that’s why we offer multidisciplinary therapies and support groups to leave no stone unturned when it comes to giving you the weight loss help you deserve. Here at Weight Zen, Dr. Rosen has helped hundreds of patients who suffer from obesity and weight control issues achieve a healthier life. We receive many calls from potential weight loss surgery candidates who are simply unsure about whether they are a candidate for bariatric surgery in New York. Today, we’re going to take a look at some of the basic standards of the ideal bariatric surgery candidate. You weigh more than 100 pounds of your ideal body weight. You have a BMI of more than 40. Your BMI is more than 35, and you experience severe negative health effects, such as diabetes and high blood pressure, due to being severely overweight. You’re unable to achieve your weight goals for any sustained period of time even though you’re on a medically-supervised diet. Are you interested in how to proceed from here? Do you want to schedule a consultation with Megan Wolf, our New York nutritionist or Dr. Rosen, our New York bariatric surgeon? Contact us today to get started. We look forward to connecting with you and helping you achieve better health. https://www.weightzen.com/wp-content/uploads/2016/06/dreamstime_xxl_39116267.jpg 480 320 Weight Zen https://www.weightzen.com/wp-content/uploads/2017/03/weightzen-logo-sm.png Weight Zen2016-09-30 05:00:122018-02-27 19:26:26Are You A Candidate For Weight Loss Surgery? Though the number of bariatric surgeries performed in the United States grew in in recent years to almost 180,000 procedures a year, the number of qualifying patients that actually undergo these life-changing surgeries remains at less than one percent, according to the American Society for Metabolic and Bariatric Surgery (ASMBS). With weight loss surgeries proving themselves to be viable, delivering consistently improved long-term results, they remain vastly under-utilized. With a large portion of our population experiencing the symptoms of obesity, why are so few of us choosing to undergo this type of treatment for obesity? Why would so few patients avoid the prospect of surgery when it means a healthier future? The misconceptions that continue to plague the procedures could reveal that answer. Unfortunately, many of those who could benefit from gastric bypass surgery or another form of bariatric surgery never get past the first stage because of these myths. In an effort to eradicate these misconceptions, we’d like to offer the real facts on weight loss surgery. – FACT: Weight loss surgery should never be entered lightly as it is not a cosmetic procedure that promises out-of-the-world results. It is a serious medical procedure that, when treated properly with aftercare and a change in lifestyle, can deliver life-changing (and life-long) results that benefit the patient by providing relief from a variety of symptoms linked to obesity. – FACT: No invasive surgery or medical procedure is without its risks. Complications can arise with gastric bypass, gastric sleeve or Lap-Band surgery, but they don’t occur at any higher rates than other types of surgeries. With the technological innovations made within the last few years, the occurrence of these complications have dropped significantly and healing time, recovery and pain levels have all been minimized. Additionally, Dr. Rosen is an expert in minimally invasive laparoscopic surgery. This means we use very small incisions: smaller cuts, faster healing. – FACT: Patients who follow Dr. Rosen’s and Megan’s advice regarding nutrition and meal planning experience little to no issues with nutritional values. Where there is a decrease in the natural absorption of vitamins and minerals, today’s nutritional guidance helps patients lead healthy, balanced and robust lives. – FACT: Though the amount of coverage does change between providers and states, many plans do cover weight loss surgeries now. 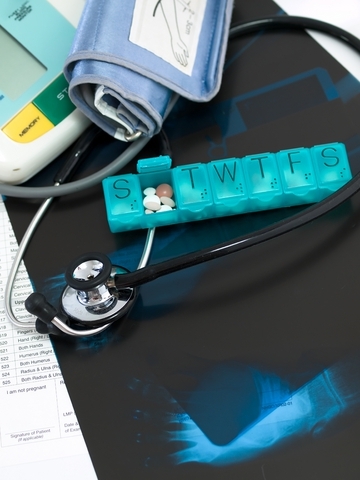 Before scheduling surgery it is important to know exactly what is covered and what is not. Some insurance providers only pay for surgery for those who meet certain health risk requirements. 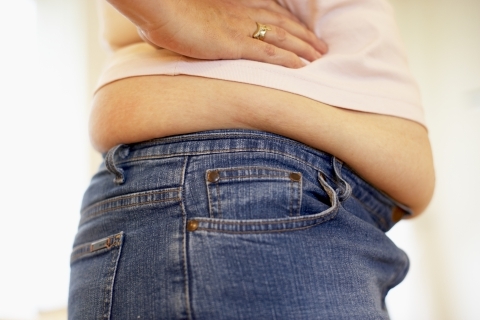 Others will cover bariatric surgery for those who are medically considered obese. Insurance verification is an important step in your care and we are here to help you. Before you undergo any serious procedure, educate yourself by doing research and asking your doctor and nutritionist any questions you have. Protect yourself by finding out all the information you can, and hopefully using only reliable and trustworthy sources. As a highly respected bariatric clinic in New York City, we strive to ensure our patient’s complete confidence by fully educating them throughout the process, working to remain as transparent and patient-focused as possible. If you believe you may be a candidate for bariatric surgery, call us now for a confidential and comprehensive consultation. We’d be happy to help you start your own personal path to optimal health and wellness.